The second in a string of powerful storms battered California on Saturday, shutting key highways after water and mud rushed into lanes from bare hillsides in wildfire burn areas where thousands of residents were under evacuation orders. Roads are covered with mud and debris during morning downpours Saturday Feb. 2, 2019 in Santa Barbara County. "She does not scare easily, but she got a little scared watching that water rise," Bowman said. 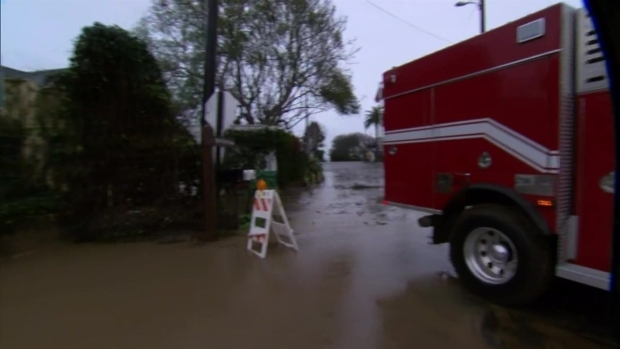 He was trying to convince her to come to his house in Los Angeles but she said she'd rather wait to see if the waters recede and she can return home. The California Department of Transportation said Saturday night in a tweet that the southbound lanes of U.S. 101, a vital route between Los Angeles and points north and west, have been reopened, while the northbound lanes of the highway remain closed from State Route 150 to Milpas. 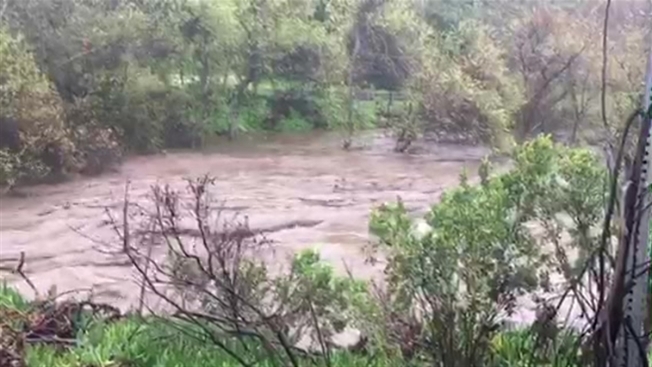 Earlier Saturday, in the Montecito area of Santa Barbara County, several miles of U.S 101 were closed because of flooding. Multiple accidents were reported on slick highways, including a crash on Interstate 5 that killed a volunteer member of a sheriff's search and rescue team, and injured several others. A minivan carrying a family was traveling too fast for the wet conditions, lost control and plowed into members of the team, Los Angeles County fire Capt. Tony Imbrenda said. Nine people were transported to hospitals, including three members of the team. The victim, Jeff Dye, was a volunteer with the Fillmore Mountain Search and Rescue Team, the sheriff's department said.